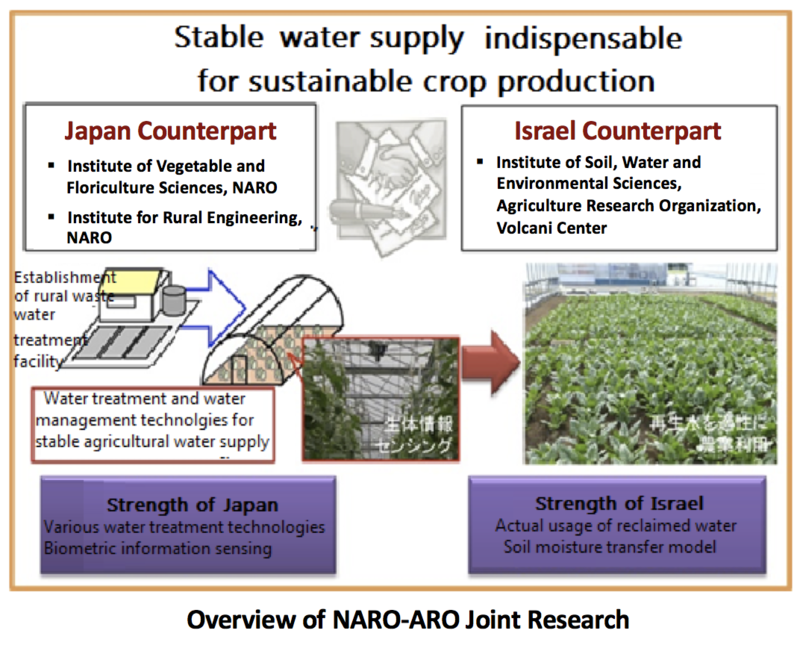 The National Agriculture and Food Research Organization (NARO) is implementing 4 research projects in collaboration with Israel's Agricultural Research Organization (ARO) as part of the "Japan-Israel Cooperation in Agricultural Research 2017" which has been established by the Ministry of Agriculture, Forestry and Fisheries (MAFF) of Japan and the Ministry of Agriculture and Rural Development (MOARD) of Israel. 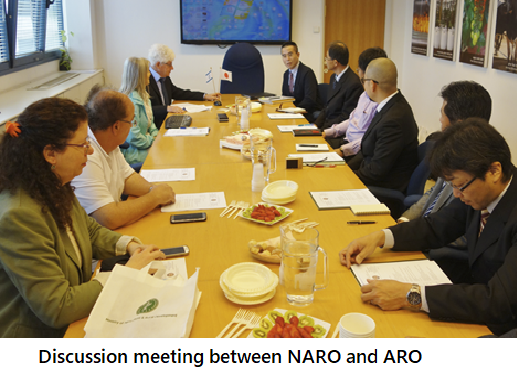 A Memorandum of Understanding (MOU) was concluded between NARO and ARO in March 2017. The research collaboration focusing on "crop irrigation technologies and practices with water of different qualities and its environmental effects" will be conducted by NARO's Institute of Vegetable and Floriculture Science (NIVFS) and Institute for Rural Engineering (NIRE) and ARO's Institute of Soil, Water and Environmental Sciences.